CLOSEOUTS. 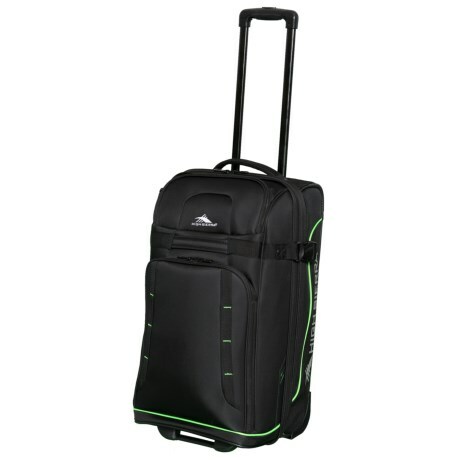 The High Sierra Evanston rolling upright suitcase transports your clothes and gear with a wheeled, multi-compartment design that expands to give you the space you need. Available Colors: BLACK/LIME GREEN, SLATE/MERCURY/POOL, MARITIME/BLACK/FOSSIL.